When it comes to the kitchen, I am someone that does not like to mess around. Keeping a clean and efficient kitchen helps me prep meals for my family easily and stress free. So recently when I was introduced to the MultiQuick 9 Immersion Hand Blender by Braun, I was blown away with its size, functionality, and purpose. Braun, known for small appliances that are useful for families, launched a brand new hand blender with interchangeable blades just this past September. 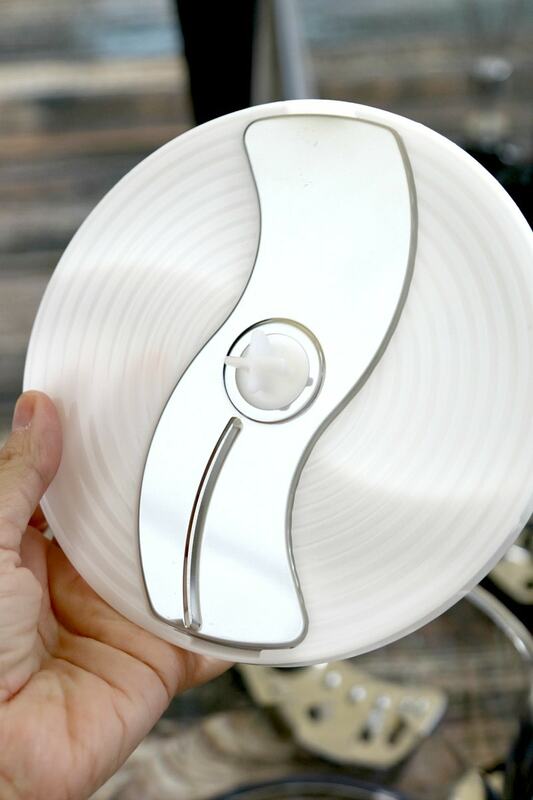 If you haven’t seen it yet or didn’t know of its existence and you cook weekly for yourself or family, its time you learned how convenient and FUN cooking can be with this amazing little gadget as a partner. According to a recent Braun survey, 66% of Americans avoid complicated recipes with too many tools to use, but 82% believe that if they had the right tool with many attachments, they could simplify the cooking experience. The first thing you need to do when you get your blender is to unpack it. It’s hard not to feel overwhelmed when you open a box with tons of parts in it, but you hardly need a manual at all to understand how this blender works. It has several blending units, blades, and one piece that connects to all of it so you can go seamlessly between ingredients with a click. From juicing and smoothies that include frozen fruits and ice, to carrots and apples, there really isn’t much that this cant do! And with the EasyClick system Plus technology, you can be sure that your blender will stay in place while being used as well as removed just as quickly. The MultiQuick 9 is a masher, whisker, chopper, and processor all in one! Getting started is as easy as 1, 2, 3! Simply pick out your blender, attach the blade you want, and add your food. There is a safety lock on top that you can disengage for usage and the Smoothstart prevents a kick when you turn on. The blade moves up and down resulting in better blending, keeping out any chunks. Not to mention it takes merely seconds to get the results you want with your ingredients. Whether you are making a salad, a dessert or prepping dinner, this is pro work without the training. I think one of the biggest issue I have with my prior blender is how it cannot take the chunks down small enough. That is not a problem with the MultiQuick 9 Immersion Hand Blender! I was even able to chop down an apple into slaw in seconds! 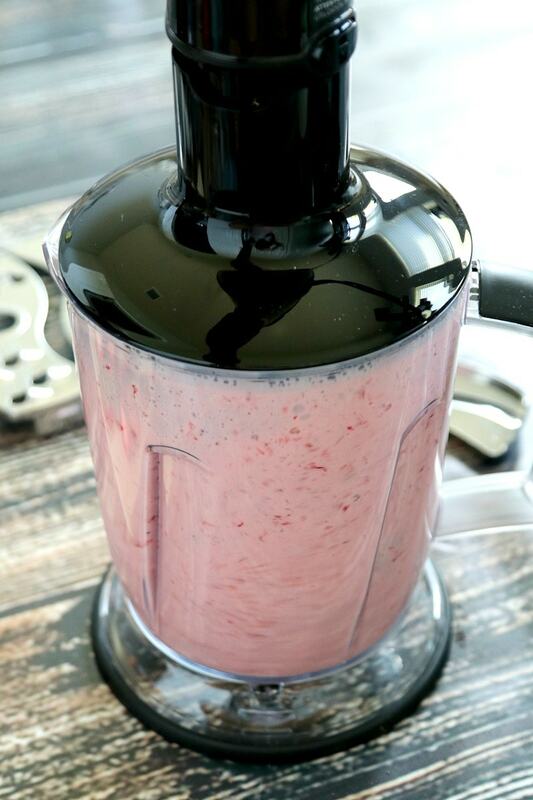 Now that you understand exactly how to use this blender, I wanted to give you a fun and simple recipe for the morning. Recently my husband has really been into smoothies. He gave up coffee but still enjoys a drink on the way to work. I wanted to create a delicious fall smoothie that was perfect for breakfast and on the go. Plus, its so simple to alter with additional fruits and flavors, that you can get really creative here. Pour all your ingredients into your processor and turn on! 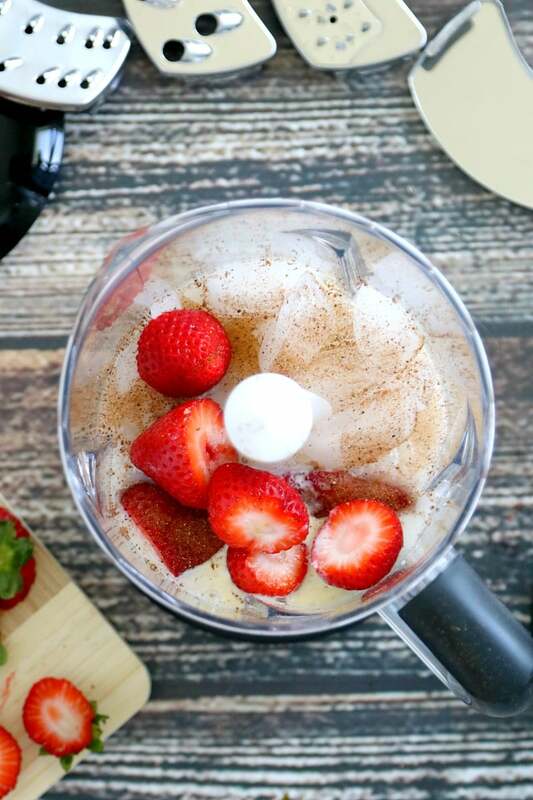 Your smoothie is done in less than a minute with fresh fruit and the lovely taste of holiday egg nog. Of course if you want to alter this recipe, I love adding a banana and egg nog mixture as well. Just throw in bananas as part of your smoothie or separate out into another blender, create, and mix! Now this is a great way to enjoy the morning! You can also blend right in the beaker with the Advanced SPLASHcontrol technology. The Advanced SPLASHcontrol technology helps prevent splashing outside your cup with less suction. Now these are just the basics and I could honestly spend all day chopping, creating puree, and adding to the fruit tray and smoothies, but I think I would go through my fridge rather quickly. You can learn more by heading to Braun on Pinterest, following them on FB, and putting the MultiQuick 9 Immersion Hand Blender on your holiday wish list!